Awesome job Zephyrhills! Previous stories here and here. On Saturday, October 25, 2014, Zephyrhills® Brand 100% Natural Spring Water, a Nestlé Waters North America brand, donated $50,000 in honor of its 50th anniversary and its commitment to preserving Florida’s natural water resources to Keep Tampa Bay Beautiful and Tampa Bay Watch at the Zephyrhills Community Open House. The funding donated by the Zephyrhills brand will be shared by these organizations to help support clean up and education events at parks along the Hillsborough River, and help to preserve Tampa Bay. The donation to Keep Tampa Bay Beautiful and Tampa Bay Watch was supported by Florida consumers, called on by the Zephyrhills brand to share their favorite things about Florida using #FLfavorites. Every post or share of the #FLfavorites hashtag, along with “Florida Favorite Sun Badges” collected at various local events triggered a dollar toward the $50,000 donation. In total, Tampa Bay residents shared 23,748 things they loved above Florida. The brand is making a donation in this amount, plus an incremental donation to reach a grand total of $50,000. At the Zephyrhills Community Open House, being held at the Zephyrhills Plant from 11 a.m. to 3 p.m., Tampa Bay local residents and businesses, government officials and Zephyrhills brand employees will experience a free day of family fun including a tour of the state-of-the-art bottling facility, a barbeque lunch, face painting, games and a visit to the kid-friendly, educational WaterVentures Learning Lab. Florida’s WaterVentures Learning Lab, which traveled to more than 250 schools this past year and is supported by the Zephyrhills brand, is a traveling science center that teaches families and youth about environmental stewardship. At the Open House, kids and their families will be invited to visit the WaterVentures lab, which features watershed tables, recycling exhibits, a relief map of Florida’s water features and a display of a Florida aquifer, and will be able to learn hands-on about protecting Florida’s natural resources. The Zephyrhills Community Open House marks the culmination of the brand’s 50th anniversary. Since 1964, Zephyrhills® Brand 100% Natural Spring Water has been sourced from natural, sustainable springs in Florida. These include the nearby Crystal Springs Preserve, which is visited by more than 50,000 students each year. The Zephyrhills plant employs 250 people local to the area, with 900 more employees working on the brand. Today Zephyrhills® Brand 100% Natural Spring Water is enjoyed throughout the state of Florida. Learn more about the Zephyrhills brand by visiting www.zephyrhillswater.com, on Facebook at www.facebook.com/Zephyrhillswater or following on Twitter and Instagram at @ZephyrhillsWtr. Zephyrhills® Brand 100% Natural Spring Water joined Nestlé Waters North America in 1982, but the brand’s heritage goes back to 1964. 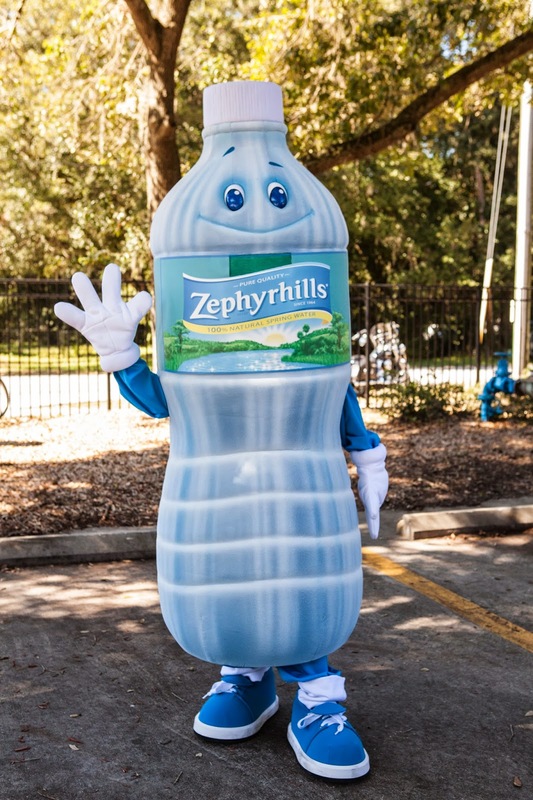 Zephyrhills® Brand 100% Natural Spring Water is sourced only from carefully selected springs, and the soils and limestone of the Floridan Aquifer uniquely filter the water to create perfectly balanced minerals for great taste. Zephyrhills is more than a brand name; it’s a celebration of what’s most natural about Florida. To learn more about Zephyrhills® Brand Natural Spring Water, please visit the brand website www.zephyrhillswater.com or on Facebook at www.facebook.com/zephyrhillswater. Keep Tampa Bay Beautiful, Inc. (KTBB), a Keep America Beautiful Affiliate, is a 501(c)(3) non-profit organization whose mission is to provide environmental education and volunteer opportunities that develop individual responsibility and environmental stewardship. Since 1989, KTBB has formed partnerships with local governments, corporations, schools, and neighborhood organizations to engage individuals and provide opportunities to enhance the community through volunteer participation. To get involved with KTBB, call (813) 221-8733 or visit KeepTampaBayBeautiful.org. Tampa Bay Watch is a nonprofit 501 (c)(3) stewardship program dedicated exclusively to the charitable and scientific purpose of protecting and restoring the marine and wetland environments of the Tampa Bay estuary encompassing over 400 square miles of open water and 2,300 square miles of highly- developed watershed. Tampa Bay Watch involves more than 10,000 youth and adult volunteers each year in hands on habitat restoration projects. As the third largest non-alcoholic beverage company by volume in the U.S., Nestlé Waters North America provides people with an unrivaled portfolio of water as healthy hydration. Among them are natural spring water brands such as Poland Spring ®, Deer Park®, Zephyrhills® and Arrowhead®. Its national purified water brand is Nestlé® Pure Life®. 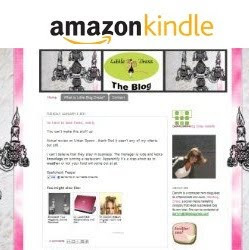 International brands include Perrier® and S.Pellegrino®. The company’s line of ready-to-drink teas now includes Nestea®, Sweet Leaf® and Tradewinds®. Based in Stamford, Connecticut with 7,500 employees nationwide, Nestlé Waters strives to reduce its environmental footprint, improve recycling rates in North America, and create shared value in those communities where it has operations. The company’s 10 full-time Natural Resource Managers, trained hydrologists, geologists and engineers monitor our spring sources and manage them for long-term sustainability. To reach success, the company follows its credo: Respect for each other, respect for the environment, and respect for the community. For more information, please visit www.nestlewatersfl.com.